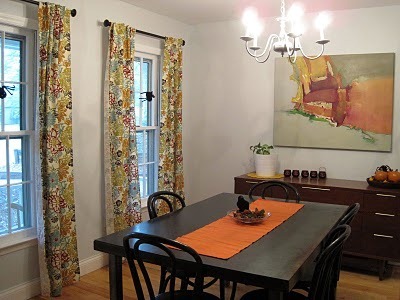 they add so much life to this dining room, and I love the use of orange on the table. Orange is such a happy color. Is that a vintage buffet on the back wall?